People seemed to enjoy “Five Words With Surprising Etymologies,” so here’s a sequel. Happy Monday. phosphorus: It was previously an adjective meaning “light-bringing” and a proper name for the morning star before it got attached to the chemical element. But what’s interesting about phosphorus is that it’s essentially the Greek form of a Latin name with a very negative association. That phoros, “bearing,” is the same root you see in Christopher, which means “Christ-bearing.” Phos, meanwhile, means “light,” so phosphorus means “light-bearing.” That’s exactly what Lucifer means. 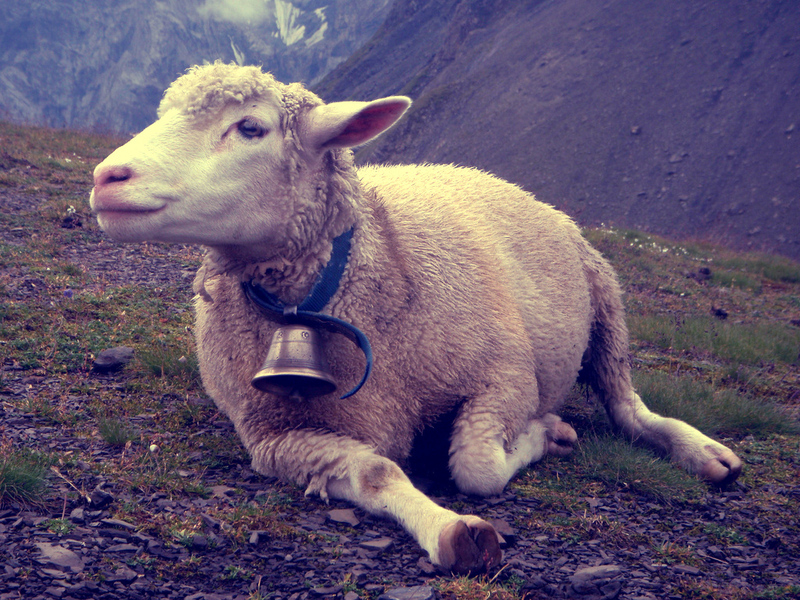 bellwether: It might be used today to refer to some on-the-cutting-edge person whom trendwatchers have their eyes on, but the etymology goes back to a far more provincial place. It’s literally the sheep that wears a bell around its neck and leads the flock. A wether is a castrated ram. galaxy: I actually buried this one in an old word-of-the-week post, and I feel like it’s worth mentioning again. So you know how we live in the Milky Way galaxy? Well, astronomers had known for a while that clustered stars had a milk-like appearance. In fact, the word galaxy comes from the Greek galaxias kyklos, “milky circle,” and that first syllable in lactation goes back to the same Proto-Indo-European root as galaxy. germane: It doesn’t have anything to do with Germany, though it comes from an old word german that in the mid-fourteenth century meant “having the same parents.” The modern usage is first documented in Hamlet, where germane used the old meaning in a figurative sense. Germane goes back to the Latin noun germen, “sprout,” which also gives English germination. bulimia: It literally means “ox hunger,” though that first syllable — from the Greek bous, “ox,” — is used here as an intensifier, so “hunger of an ox” and not “hunger for an ox,” I’m thinking. But the weird part is covert bovineness notwithstanding, that first syllable doesn’t have any relation to bull, which comes from some mysterious Germanic place. I'm surprised etymonline.com doesn't mention that in Latin, Lucifer was the name of Venus as the morning star. Is a valid point. I like pointing stuff like this out, the ruin the feeble-minded's notions of beauty. I think Lucifer came to be a name for Satan because of some myth about the North Star having fallen from grace. There's a mention of such in Isaiah. Well, isn't Venus the "wandering star"? I mean, if you were looking up into the sky and you saw this particularly noticeable thing moving along what appeared to be an erratic path, then you might do exactly as you've described.